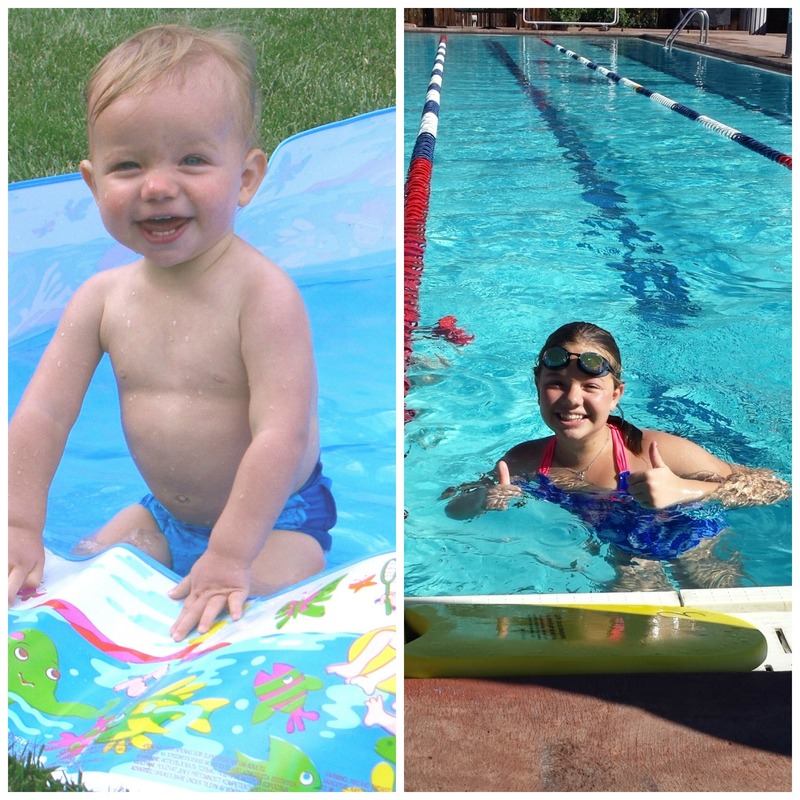 What is it about grandkids? This isn’t, by the way, one of those questions I’m going to pose and then spend the rest of the blog giving you the answer. The reality is that I really don’t understand why grandkids are as special as they are to the grandparents of the world. I just know they are. Special, that is. Special in a way that’s totally different than our kids. 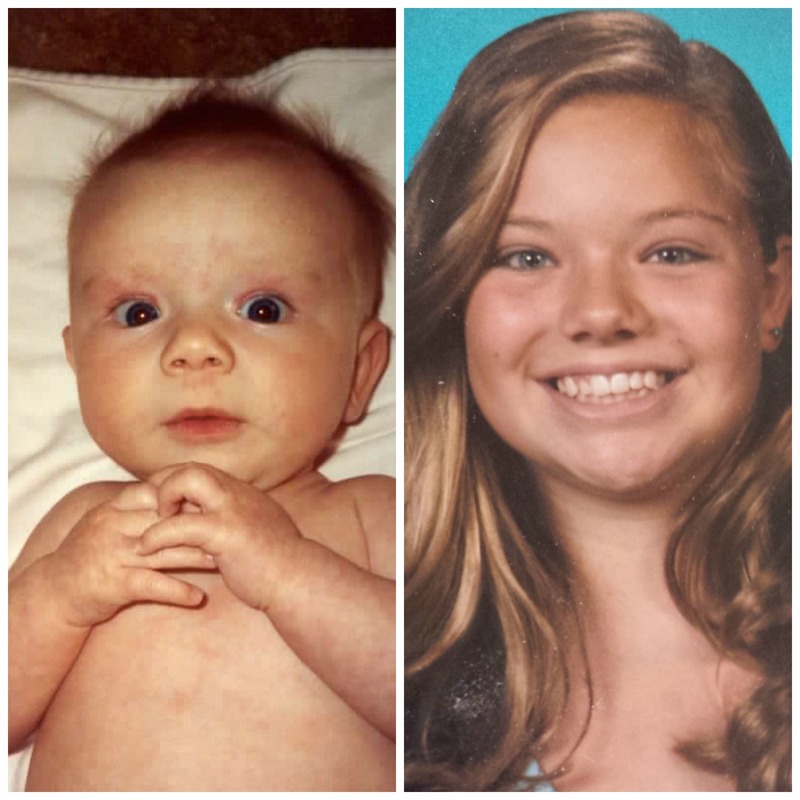 Saturday, our eldest granddaughter – eldest grandchild – turned 13. A teenager. That just seems impossible. 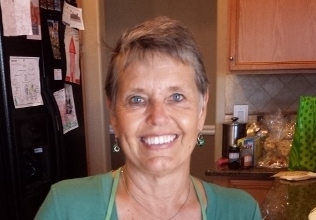 Because she was the first grandchild – and perhaps because Dave and Jll didn’t realize that if you give birth, they will come – we were there en masse at her birth. Seriously, there were a total of five grandparents, one uncle, and one aunt all there and ready to greet the newest McLain. March 19, 2003, was significant for a couple of reasons besides the birth of Adelaide Grace. 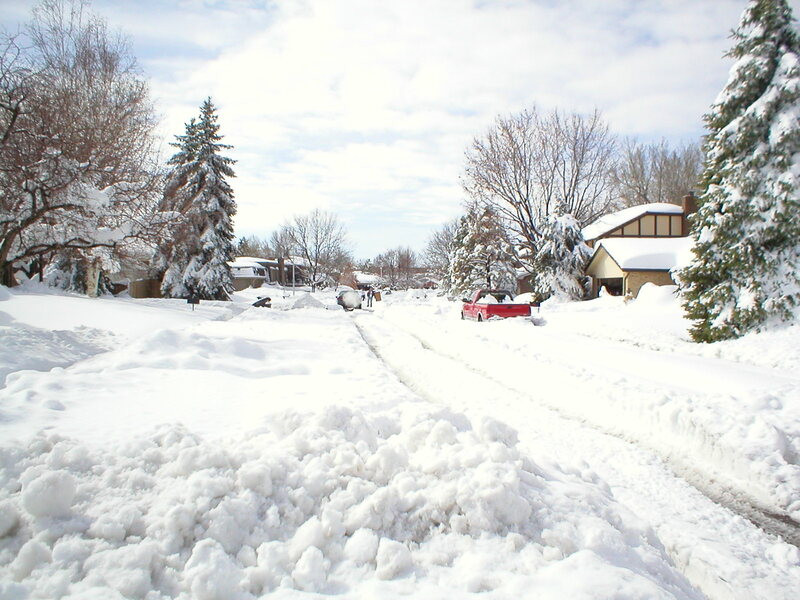 First, it was the date of the heaviest snowstorm to hit Denver since 1913. A total of 31.8 inches of snow fell overnight, beginning the afternoon of March 18. Here is a picture we took from our front yard…..
Dave called us around 10 o’clock in the morning to tell us that Jll was in labor and they were heading for the hospital. We immediately began digging out our car. Or trying to dig it out. It turned out to be an impossible task to get out of our driveway, even with four-wheel drive. We learned later that, perhaps due to the change in the barometric pressure, laboring women were arriving at the hospital in droves. Because of the snow, some were literally being brought in on toboggans. But Dave was able to get Jll to the hospital without either a toboggan or a fire truck. His Land Rover successfully made the trip. And meanwhile, back at the ranch, we were trying to dig out. Finally, Allen – driving that self-same Land Rover – came back to pick us up and take us to the hospital. All of us. We were actually in the room with the parents-to-be all day long, until Jll was ready to give birth. At that point, the most important people – the parents-to-be and the medical staff – asked us to retire to the waiting room. There we were, seven people pacing as one. Finally, we got the word. Addie was born! Ten fingers, ten toes. Here’s the other significant event that transpired on March 19, 2003. As we were racing out of the waiting room to head to see Addie, I glanced up at the television screen. President George W. Bush was announcing to the world that the United States had dropped the first bombs on Baghdad and the War in Iraq had begun. President Barack Obama began pulling troops from Iraq when Addie was 8. Addie was a pretty baby, and is still spectacularly beautiful as you can see (and has better hair)…..
All of our grandkids are special, but when you only have one, he or she is liable to get a bit of extra attention. I remember one particular day when she was still a baby. I was shopping for clothes at Macy’s. In fact, I was in the dressing room nearly nekked when my cell phone rang. It was Bill. “Jll is here with Addie,” he told me. “Don’t let her leave,” I shouted, already putting on my pants. I finished dressing in record time and raced home in time to see our little grandbaby. It’s funny when I think about it, because they lived not far from us at the time and I probably could have stopped over any time of any day. But I wasn’t going to miss a visit with our special little girl. And she is special. She was and is loved by many. Here she is with her granddads…. Papa Tim plays with baby Addie. Papa Bill and Addie relax together. 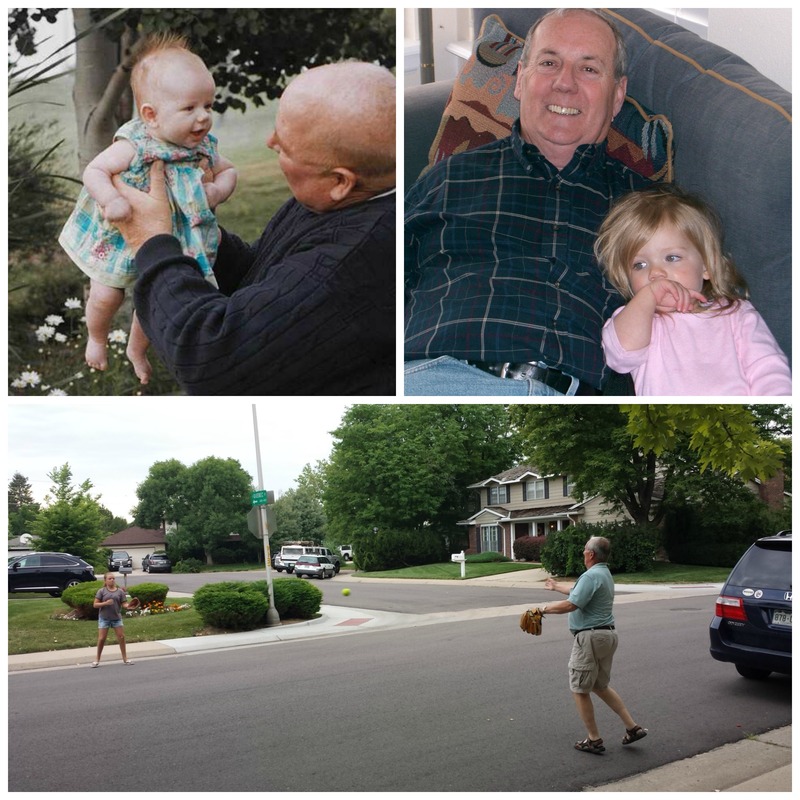 Last summer, Addie played catch with Papa. She is – and always has been – a great student…. 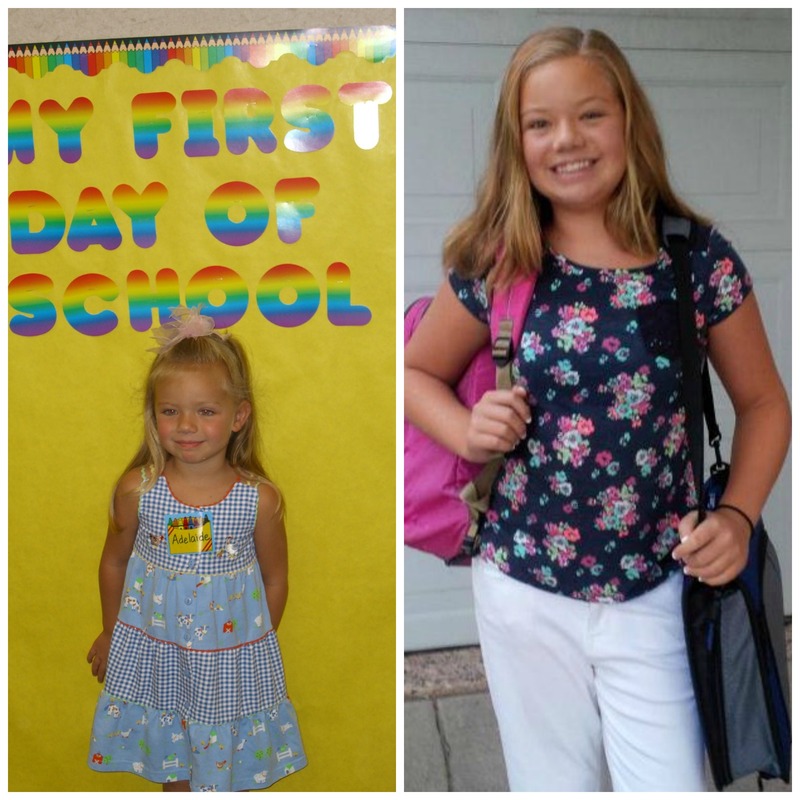 Very first day of school, left. First day of 7th grade, right. She stays busy with activities outside of school. 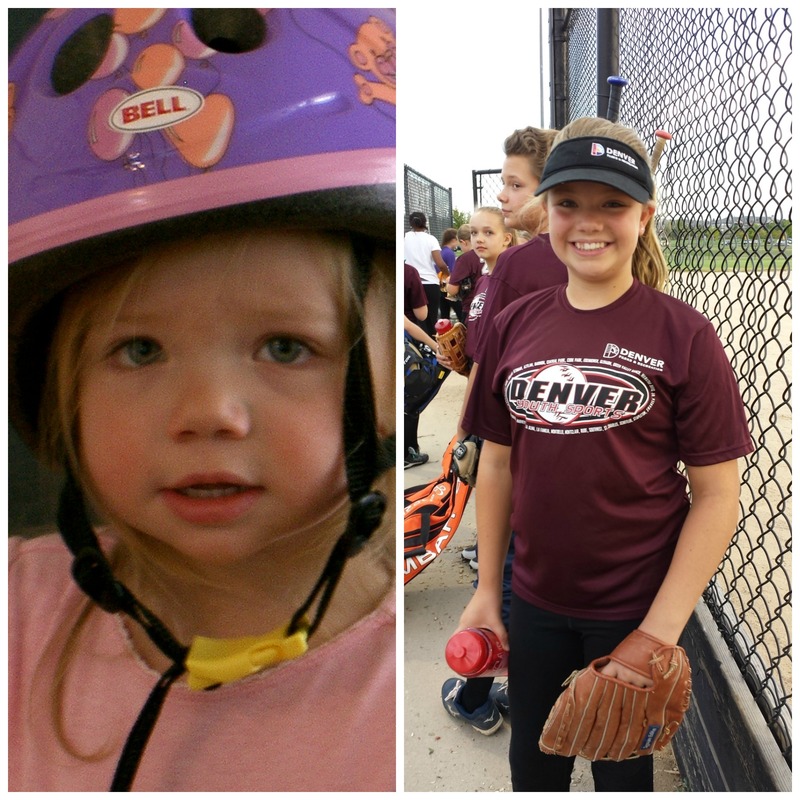 While, as you see, it began on her tricycle, soft ball is now among her sports…. 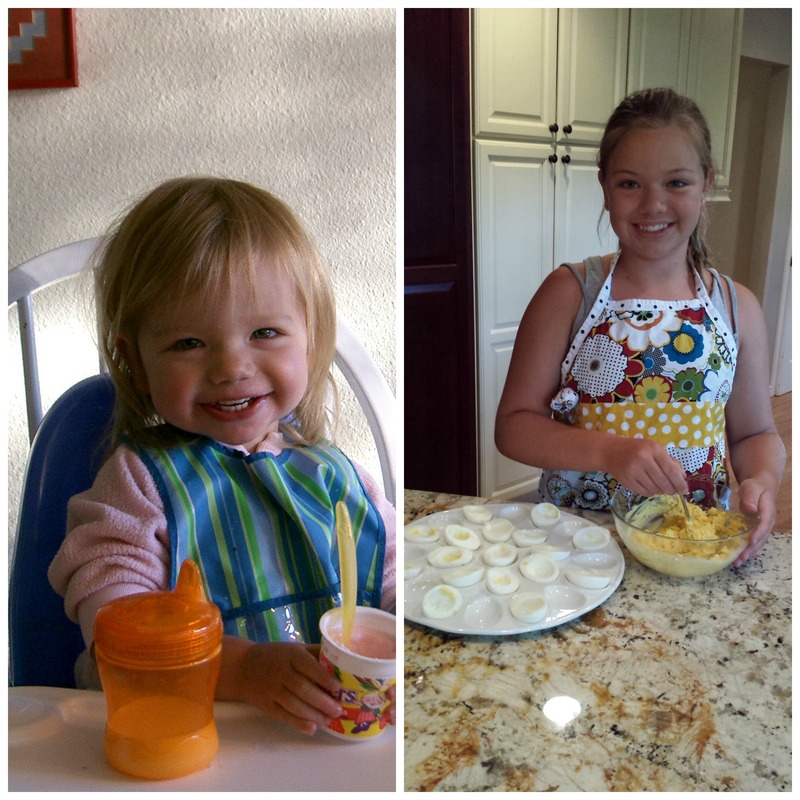 And much to Nana’s delight, she has always liked food and cooking…. So happy birthday to our eldest grandchild. She is one in a million. I love this post and I love Addie even more! And remember the musical she performed for us in that same pool? We are just crazy about them, aren’t we? I love you so much Nana. Those pictures are so cute. You do so much for me and I can’t thank you enough. Love you!